Looking for a reliable German cockroach pest control service provider? Masters Pest Control provides affordable and eco-friendly solutions to your German cockroach problem. Eliminate German cockroaches from your property today. Call us on (02) 8007 4666 to request a FREE quote and schedule a pest inspection. Blatella germanica, commonly known as the German cockroach, is one of the most common and most hated pests in residential and commercial properties all over Australia. They may be a small cockroach species, growing at just 1.1 cm to 1.6 cm, but their adaptability to their environment and health risks can pose a big threat to your home. German cockroaches love a humid environment and they are usually found in restaurants, food processing facilities and your kitchen. They are mostly active at night and you can usually see them when you bring light to a darkened room where they are scavenging for food. To know more about these pesky critters, here are some facts that you need to know about German cockroaches. German cockroaches can barely fly. Unlike its other cockroach cousins, the German cockroach barely flies even if it has fully developed wings. They prefer to crawl across surfaces instead, spreading germs all over your home. German cockroaches have a fast rate of reproduction. An adult female German cockroach can produce four to eight egg capsules called ootheca. Each ootheca contains up to 48 eggs and takes around 28 days to hatch. A single female can theoretically produce more than 10,000 descendants over one year. German cockroaches undergo the shortest time to reach maturity. The species has three stages of metamorphosis: egg, nymph and adult. The entire life cycle is completed in about 100 days. Multiple generations can be present at one time and their population growth is exponential. German cockroaches love the heat and humid places. If you want to inspect your rooms for a German cockroach infestation, check your refrigerators and other appliances that generate heat. You should also check the area under your sink, your toilet bowl and around water pipes. German cockroaches are resistant to common over-the-counter pest control methods. Different factors contribute to this species’ resilience to pest control methods available to regular consumers. Their short reproductive cycle, fast sexual maturity and resistance to pesticides have made them one of the most difficult pests to eradicate. You can eliminate these pests with professional German cockroach pest control. When you notice the tell-tale signs an infestation, the best step to take is to call professional German cockroach pest control service providers. As this pest species can be resilient, you will need a more elaborate and effective process to completely eliminate them from your home. 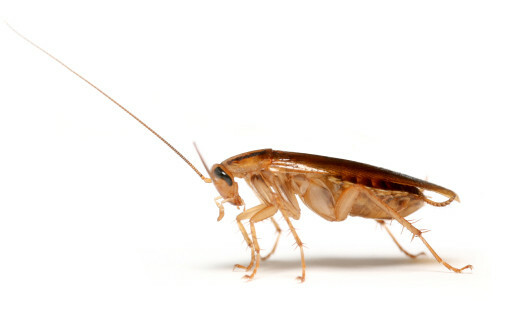 For a reliable cockroach pest control Sydney wide service, call Masters Pest Control on (02) 8007 4666 and schedule an inspection.